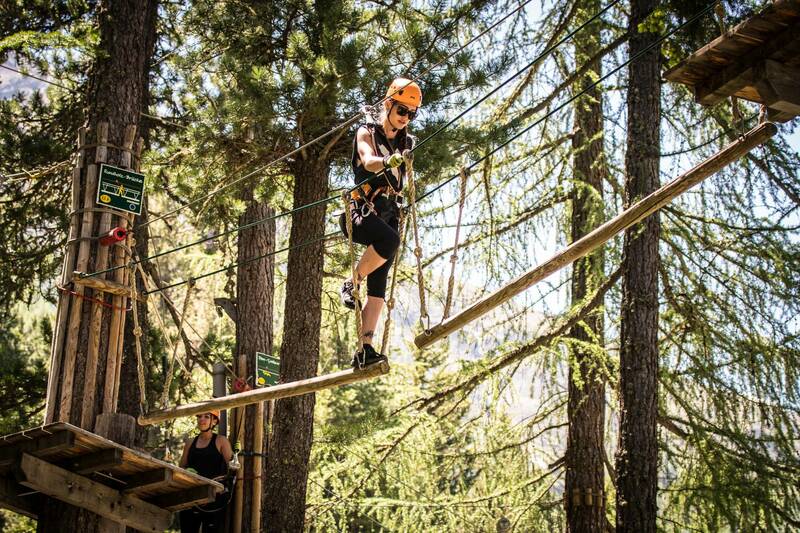 Forest Fun Park - Saas-Fee Guides - The mountain guides of the Saas-Fee valley. 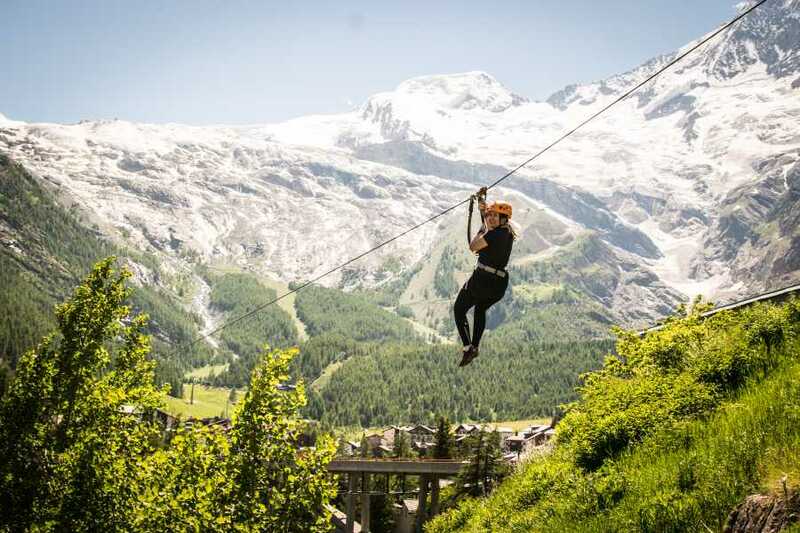 Home to Europe’s highest zipline, adrenaline, freedom and fun: this summer, the Saas-Fee Guides are taking over the village’s Adventure Forest, a rope park hidden high among the trees. The rope park, set within the forest just above the bottom station of the Alpin Express, was opened back in 2006. Since then, the Adventure Forest has gradually expanded, and it now consists of four different zones. 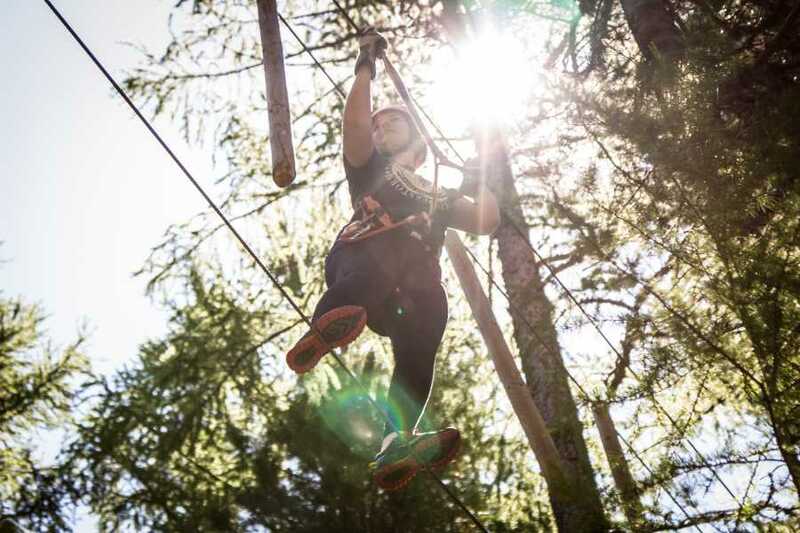 As you progress from one zone to the next, the obstacles suspended high amongst the trees become increasingly hard to overcome. 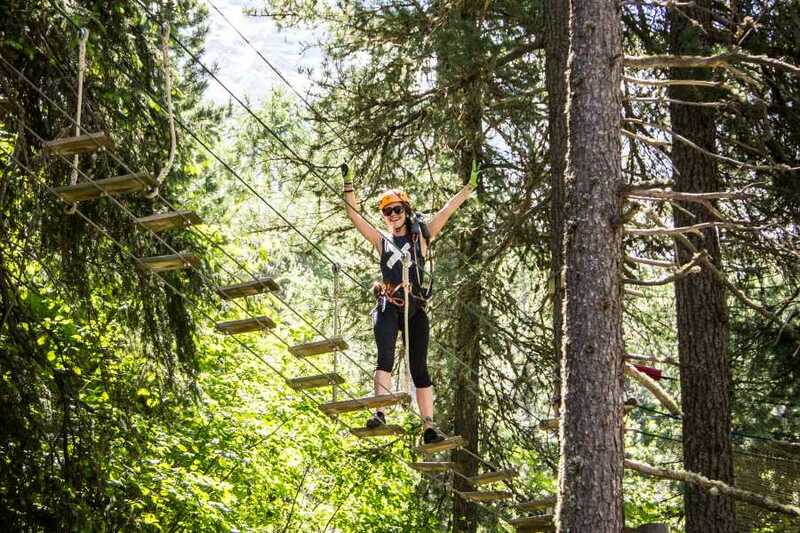 At the end of each zone, tree-climbing adventurers zipline back down to the forest floor. *One accompanying adult per 8 young people (up to 18 years) goes free. Free entry when you visit on your birthday! In addition, one companion gets 50% discount on entry. (Please bring a passport or other form of identification). 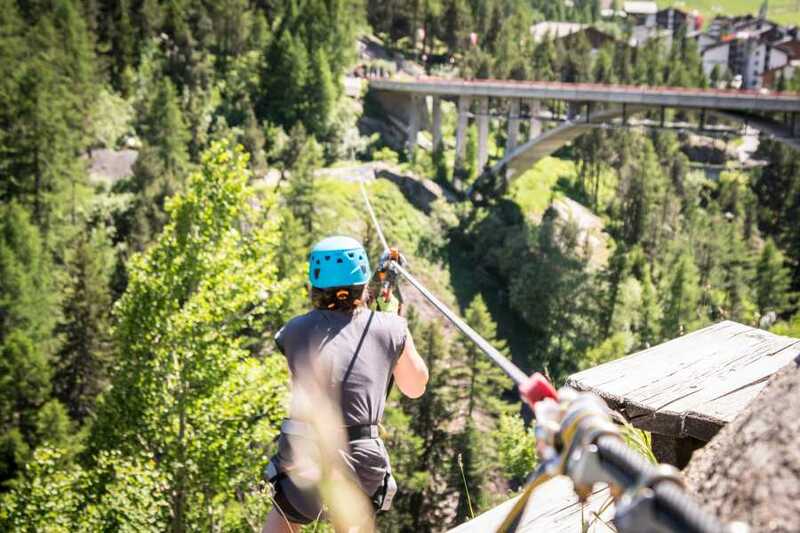 From 19th to 29th June and 3rd September to 21st October locals receive a 20% discount upon showing a local pass from any Upper Valais district. You can reserve online or by emailing info@saasfeeguides.ch. Reservation is required for groups of 10 or more. By prior arrangement, the team can open the rope park on Mondays or Fridays throughout the low season, for groups of ten or more. Admittance to the main Adventure Forest is for participants aged ten years and over, and a minimum of 145 centimetres tall. 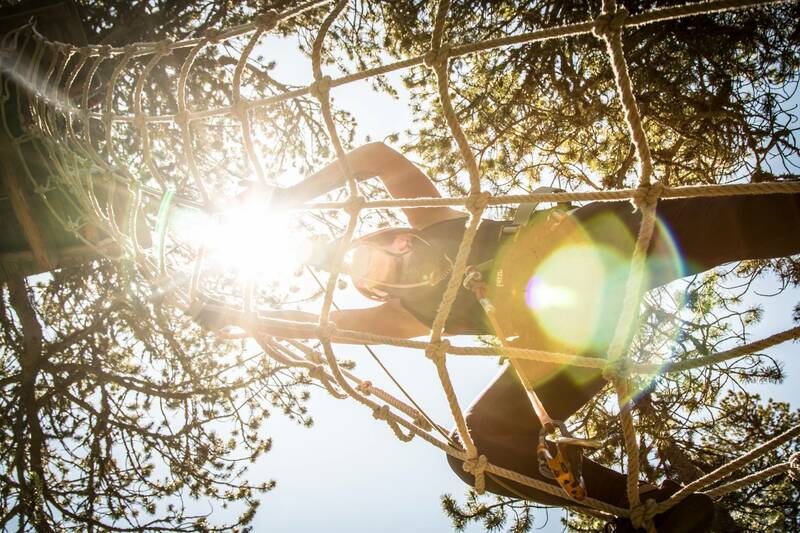 Bear in mind that the obstacle course is best-suited to people with a head for heights. The kids’ park can be enjoyed by children of any height who are over the age of four, and parents are able to watch from the ground. 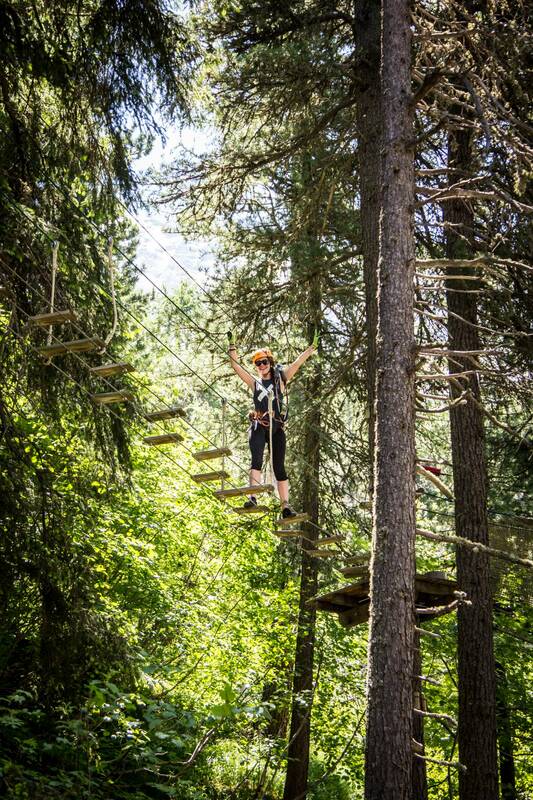 All you need to enjoy the adventure forest is a pair of closed-toe shoes and a sense of adventure. 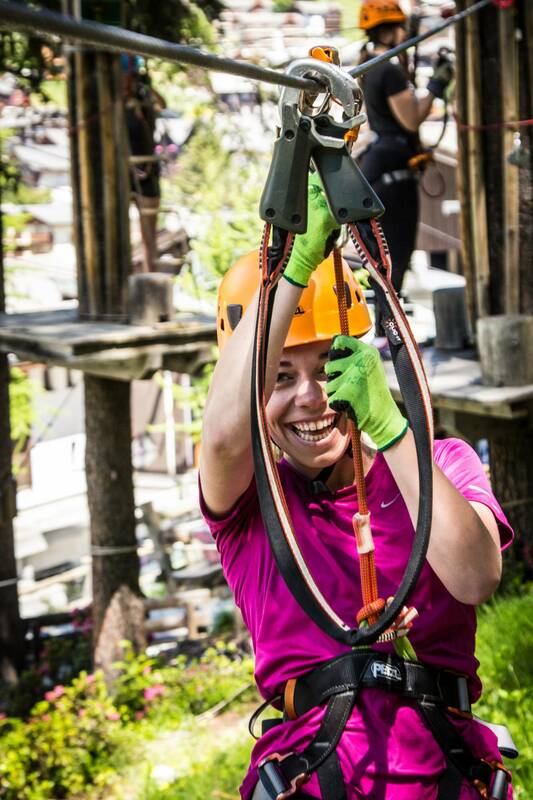 The park team will provide a harness complete with twin "CLic-iT" carabiners, a helmet and a pair of gloves. For safety reasons, skirts are not permitted, and long hair must be tied back. You can deposit any valuables in the lodge at the entrance to the park. If you would like to take a camera or smartphone, we can provide a small bag which attaches to your climbing harness (the park accepts no liability for loss or damage). Allow half a day to visit the rope park. 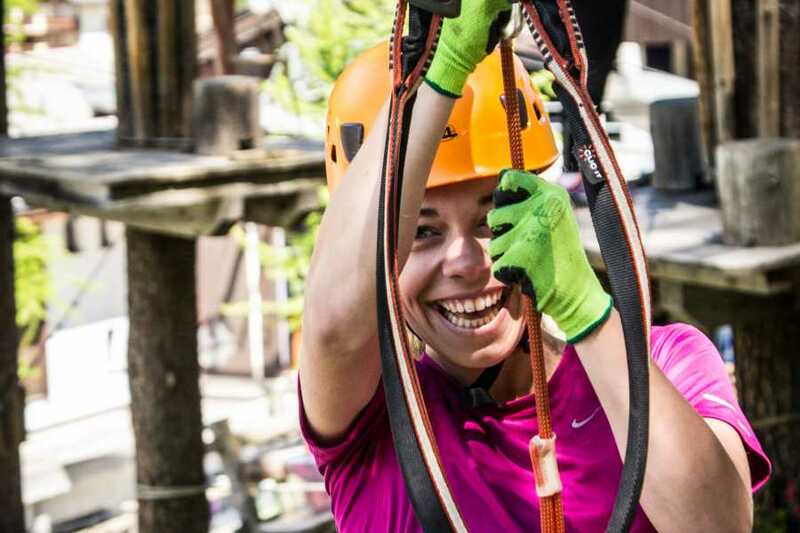 Normally, the time spent on the ropes and obstacle course itself is three to four hours. Our park rangers look after every detail, from helping with your harness to inspecting the rope park’s infrastructure and safety equipment on a daily basis. In addition to a harness, you are provided with a helmet and gloves. In a half-hour introductory session, you will get to grips with getting around the park and become familiar with your kit, before getting the chance to put what you’ve just learnt in to practise under the watchful eye of a park ranger. When you’re ready, you and your climbing companions are let loose in the main park. You’re free to tackle the obstacles on your own but our park rangers are around at all times to lend a hand.